The Northcote assembly area is a primary departure point for searches departing from Melbourne. 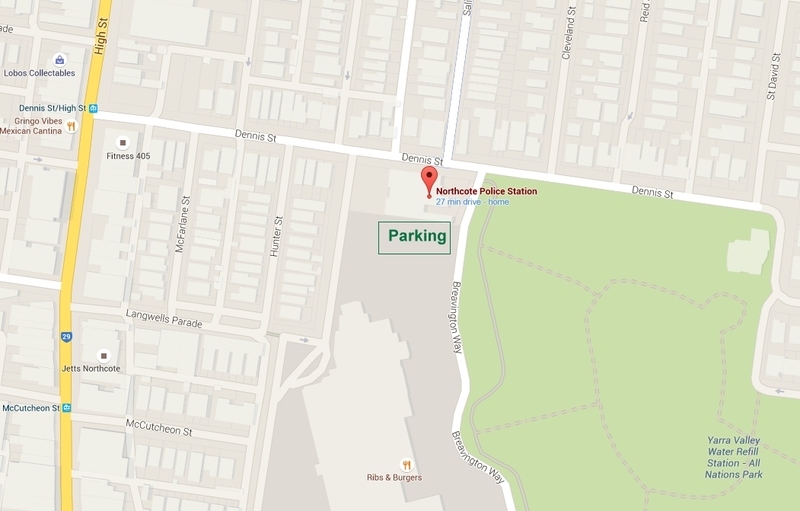 The address is Northcote Police Station, 48 Dennis Street, Northcote. In the event of a callout, BSAR members should park behind the Police Station in the shopping centre car park, as close as possible to the Police Station fence or back wall. The assembly point is the foyer of the Police Station on Dennis Street.